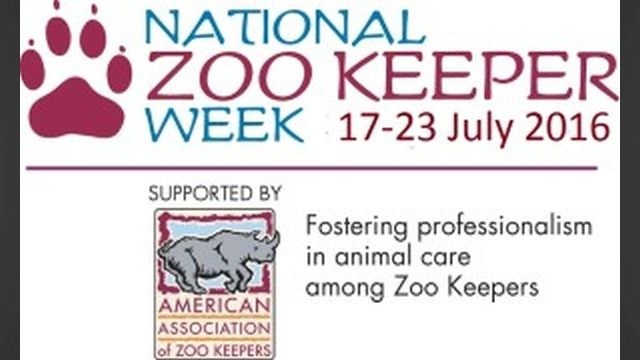 Did you know, the third week in July is National Zoo Keeper Week?! The City of Salisbury says this is a chance to recognize the contributions made by animal care professionals in helping zoo visitors to care for the world. Officials say that at the Salisbury Zoo, a zoo keeper does more than just feed, clean, and care for the animals. They plan and build exhibits, help with facility maintenance, and participate in the zoo’s breeding and conservation programs while also fund-raising for conservation initiatives through events, animal paintings, and “keeper for the day” programs. The Salisbury zoo keepers reportedly keep up-to-date with the latest in animal husbandry by attending animal management classes through different institutions, like the Association of Zoos and Aquariums. This apparently allows the Salisbury Zoo to collaborate and share information with keepers from other zoos. City Officials say their zoo keepers are also most importantly advocates for the animals of the zoo, as they are the ones that work with the animals everyday.